If you are an accredited investor and are interested in learning more about investing in our rapidly-growing company, please fill out the Investor Form. The current state of the industry is very conducive to the rapid rise of Operr and establish our dominance in the United States market. Under article 506 (C) of the Securities Act of the United States, Operr Group's first public recruitment of qualified (accredited Investors) or mature (sophisticated Investor) investors as original shareholders. The company is expected to be an IPO within 3 years. Interested investors are welcome to visit our project briefing. Due to limited seating, please make a reservation in advance. Operr Group is a technology company founded in November 2013 and headquartered in Delaware, dedicated to improving traditional transport service software. After more than 5 years of development, has become a full range of platform-level services to provide a first-class transport software company, can provide the industry's leading dispatching command system and first-class settlement software system. 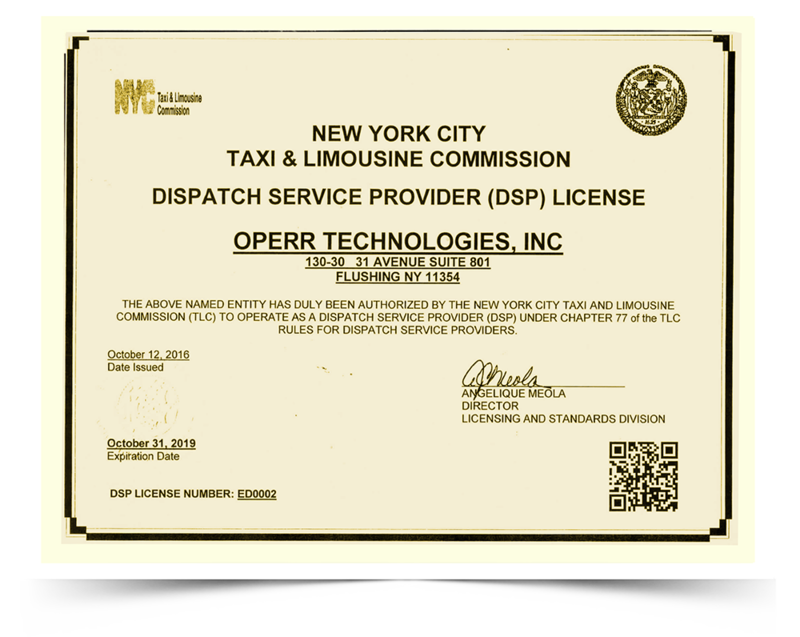 Its subsidiary, Operr Technologies, Inc., is the first dispatch service provider (DSP) approved by the New York Municipal government and the largest technology company in New York to provide DSP. OPERR Group has submitted nearly 30 patent and trademark applications to the United States Patent and Trademark Office, of which 10 have been approved, and has filed hundreds of patent applications in more than 80 countries worldwide, covering all major aspects of the traditional transport industry. In addition to independent R & amp; D and with independent intellectual property rights of the software system. Operr's competitive advantage is also reflected in: positioning in the global operation of the huge growth space, unique business model, comprehensive platform will substantially reduce the cost of customers, predictable profit prospects, differentiated competition with competitors, avoid homogenization of operations, The main products are maturing and tested by the market, and the Operation team has first-hand experience in the transportation industry, and the products can provide a better user experience.